Palos Verdes coach Pat Fresch had wondered if he had scheduled too many tough opponents to open the season. The Sea Kings dropped their first five games of the season, and Friday night had to face a resurgent Leuzinger team to open Bay League play. But Palos Verdes proved its mettle with an inspired performance, winning, 23-7, at Leuzinger. "At this point, I think it was the right decision," a relieved Fresch said. "We had a couple hard-luck games. We were pretty close in almost all of those games we lost. I knew it was going to be a really difficult preseason, but it was definitely worth it. It feels great to start out Bay League play with a win" Palos Verdes proved. Palos Verdes (1-5) was convinced it could run the ball against Leuzinger's stingy line. And the Sea Kings took the fight to Leuzinger (4-2) early. Running back Matt Willis ran 53 yards for a touchdown on the opening possession of the game to stake the Sea Kings to a 6-0 lead. Palos Verdes continued to run with success for much of the game, mixing in enough passes to keep Leuzinger honest. The Sea Kings finished with 192 yards rushing. Victor Mancusi rushed for 101 yards on 18 carries for Palos Verdes. Palos Verdes also came up with several crucial stops on defense. Leuzinger trailed, 20-7, early in the fourth quarter, but failed to capitalize on several opportunities in Palos Verdes territory. The Sea Kings picked off Leuzinger quarterback Te Shon Burton twice and stopped the Olympians on fourth-and-2 from the Palos Verdes 31-yard-line. Palos Verdes quarterback Max Baez completed seven of eight passes for 64 yards and two touchdowns, both of which went to tight end James Klein. "We really came full circle tonight," Fresch said. "We were plagued by turnovers and mistakes on special teams in our first five games. "But we corrected that part of our game that had been hurting us, and it made all the difference." The win for Palos Verdes broke a two-year losing streak to Leuzinger and also snapped the Olympians four-game overall winning streak. Running back Johnny Davis rushed for 79 yards on 12 carries to lead the way for Leuzinger. 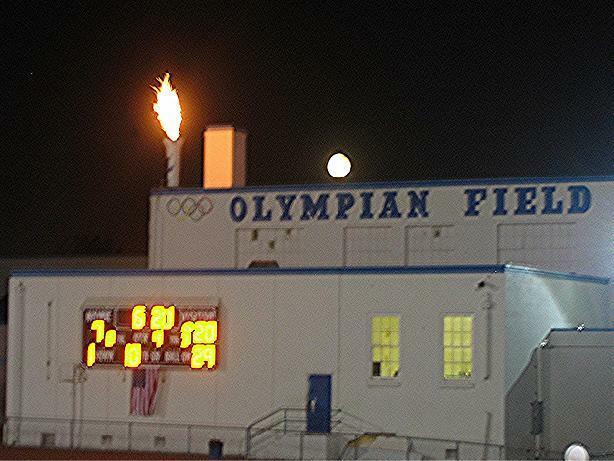 The Olympians squandered several scoring opportunities, none more painful than one right before the end of the first half. Wide receiver Semaj Harris broke free in the secondary and had no defenders within 5 yards of him. Burton spotted him and launched a pass downfield, but Harris appeared to take his eye off the ball just as it arrived, and the ball fell to the turf. It was that sort of night for Leuzinger. and you will be winners.